Longbow Advantage is a leading supply chain consulting services firm with deep expertise in warehouse and workforce management systems. We put a premium on customer experience, and we value the trust customers put in us to deliver the highest quality in the industry. Our customers are industry leaders who turn to us for our industry experience, faster implementation and lower total project cost. Longbow Advantage is also the creator of Rebus, a revolutionary Saas-based analytics platform specifically designed by logistics professionals for logistics professionals. 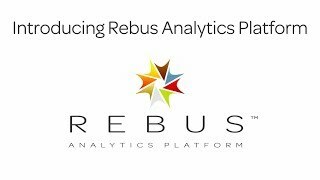 Rebus aggregates and harmonizes logistics data from any supply chain execution software to provide a real time view of your logistics operations and deliver cross-functional insights.